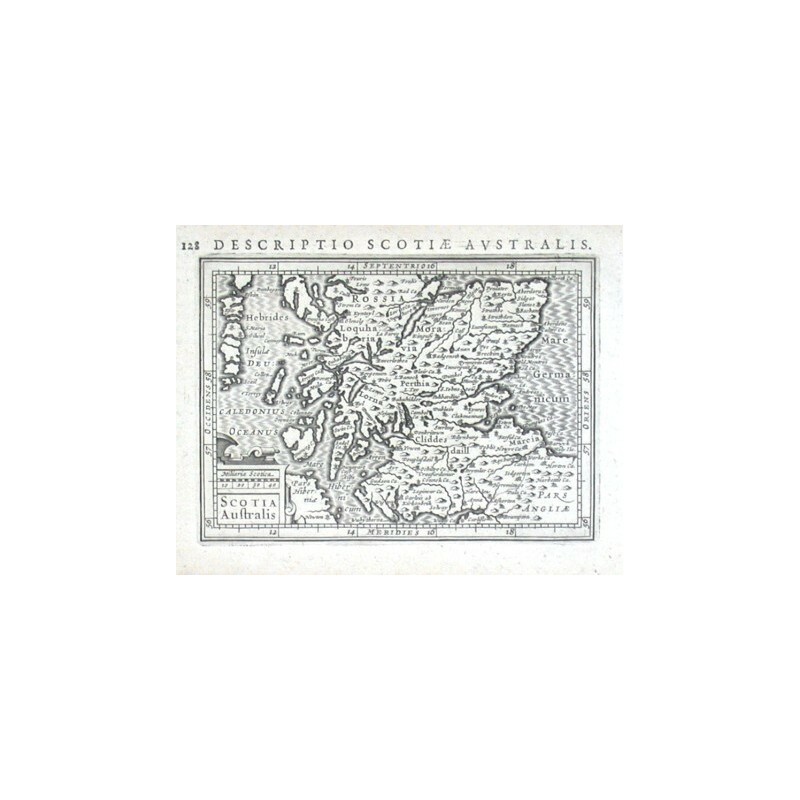 "Scotia Australis". Copper-engraving by P. Bertius published by J. Hondius, 1616-18. With small ornamental cartouche, the scale of map ("Miliaria Scotica") and Latin heading-title. 9,5:13,3 cm (3 3/4 x 5 1/4 inch.). Koeman III, map 5802:342, ed. 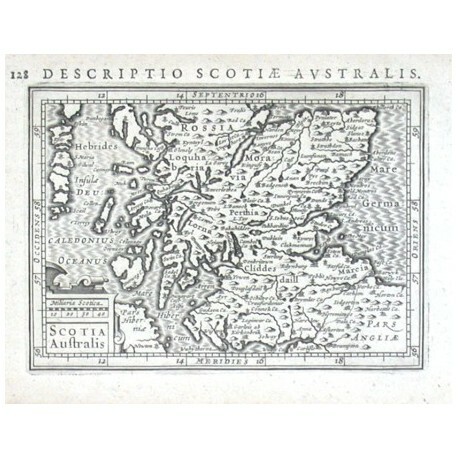 342:01 - A miniature map of the southern part of Scotland.